The University of Surrey has helped to create a technique that has produced the highest performing inverted perovskite solar cell ever recorded. Perovskite based cells are widely viewed as the next generation of solar cells, offering similar power conversion efficiency (PCE) performance, but at a much lower cost than the market dominant crystalline silicon based solar cells. In a study published by Science, a team of researchers from Peking University and the Universities of Surrey, Oxford and Cambridge detail a new way to reduce an unwanted process called non-radiative recombination, where energy and efficiency is lost in perovskite solar cells. The team created a technique called Solution-Process Secondary growth (SSG) which increased the voltage of inverted perovskite solar cells by 100 millivolts, reaching a high of 1.21 volts without compromising the quality of the solar cell or the electrical current flowing through a device. They tested the technique on a device which recorded a PCE of 20.9 per cent, the highest certified PCE for inverted perovskite solar cells ever recorded. Dr. Wei Zhang from the University of Surrey's Advanced Technology Institute, said: "The need for clean and sustainable energy that helps us to stop damaging our planet is what drives us at the Advanced Technology Institute. Our new technique confirms that there is a lot of promise with perovskite solar cells and we aim to explore this new and exciting area more in the future." Professor Ravi Silva, Director of the Advanced Technology Institute at the University of Surrey, said: "It is pleasing to see the Advanced Technology Institute join in this global project that could provide a solution to the need for a truly sustainable, cheap and clean energy resource. This was a monumental effort from leading laboratories, researchers and institutions from across the world, all working together for the common good." Let me know when it actually becomes available in a product on the market. Until then it's just more fud. Heeckish, I'm amazed that they accomplished this much. I have never been a fanboy for developing perovskite based technology. As I am often been proven wrong about so many things in my life? That the researchers keep plugging away at trying to achievable products, is admirable. One small step at a time grows a coral reef or builds a towering termite nest or with dripping water wears down a mountain into mole-hill. Thomas Edison was to have said "He did not discover the lightbulb. Instead he discovered a thousand ways not to build a commercially successful light-bulb." "Success in life is always uncertain. However, to just give up or even to never try? Is always a certain failure." Perovskite cells seem to be pushing all sorts of boundaries, but not the durability one. They degrade really fast, and that's actually the biggest impediment to market - not their efficiency. Even with silicon PV cells, people buy as low as 12% efficient cells because they're manufacture on the cheap by Chinese factories using old obsolete production lines that are already paid off. It seems you don't know what "fud" means, or you're Scottish. Wrong, I know exactly what it means and that's why I used the word. Then care to tell us what it means and how that applies to the case? If you can't use a dictionary, that's not my problem. Do you fear the perovs? Are you uncertain about it? Do you have doubts about it? The market entry for them doesn't seem far off. 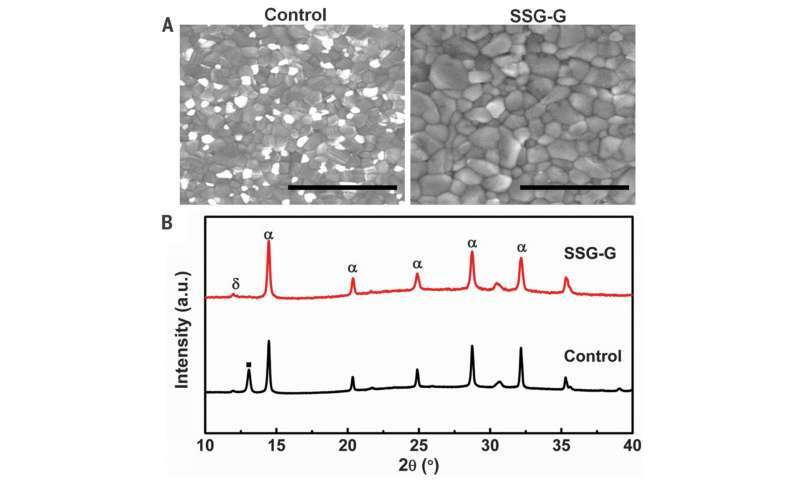 And with record performance of a perovskite tandem solar cell already exceeding the record of single junction silicon one the future looks pretty bright for these.